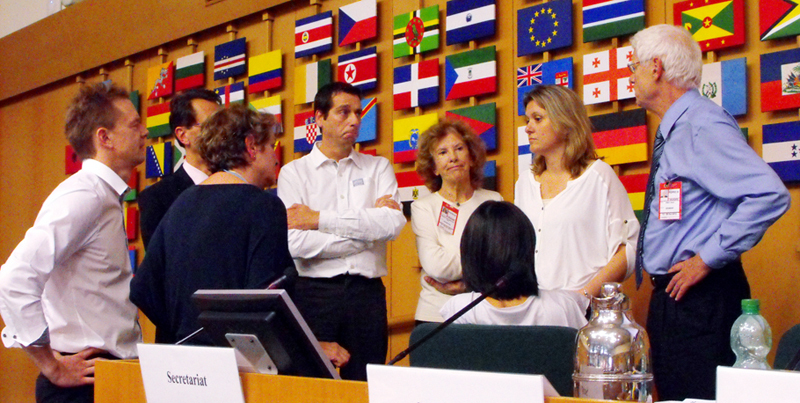 POPRC-9 convened for the final day of its meeting on Friday, 18 October. In the morning, the Committee adopted a decision to undertake activities to support effective participation in the work of the POPRC. 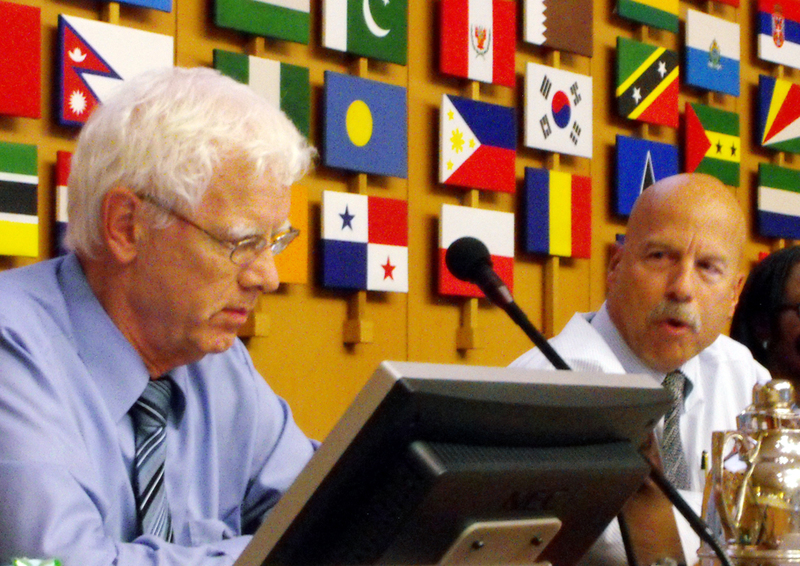 The Committee also agreed that POPRC-10 would be held from 27-31 October 2014 at FAO headquarters in Rome, Italy. This meeting will follow the tenth meeting of the Chemical Review Committee to the Rotterdam Convention, which will be held during the preceding week in the same venue. During the lunch break, participants attended a side event on POPs in articles (e.g., POPs in toys, electronics, and other consumer products.) 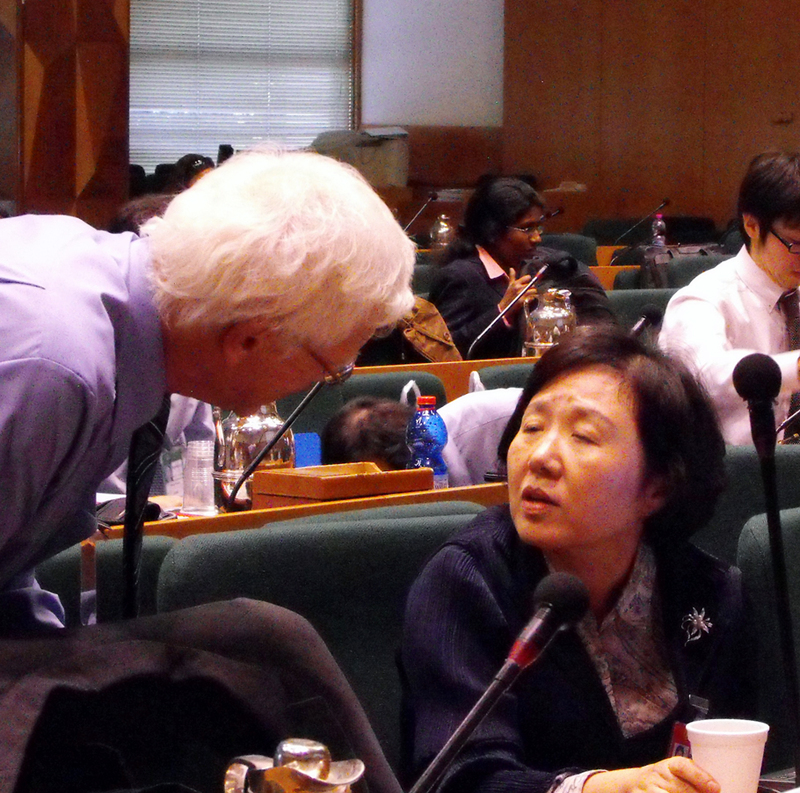 Additionally, a Friends of the Chair group met to work on the draft decision on pentachlorophenol (PCP). In the afternoon, the Committee reconvened in plenary to complete its work. POPRC-9 adopted the risk profile on PCP, its salts and esters, and decided the substance is likely to lead to adverse effects on human health and the environment. PCP will now advance to the Annex F stage of review, for which a risk management evaluation will be drafted. POPRC-9 also decided that decaBDE meets the Annex D screening criteria, thereby advancing the substance to the Annex E stage of review, for which a risk profile will be drafted. The Committee continued its consideration of whether dicofol meets the Annex D screening criteria, but due to the objections of one member, could not reach consensus to advance dicofol to the Annex E stage. 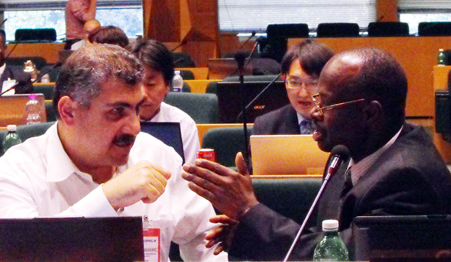 The proposal will be placed on the POPRC-10 agenda for further consideration. 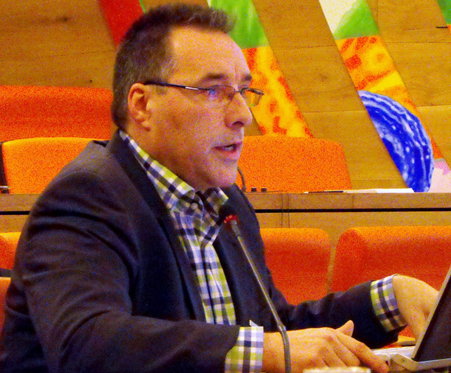 At the close of the meeting, outgoing Chair Reiner Arndt thanked a long list of people who have contributed to the work of POPRC, which he has chaired since its inception. 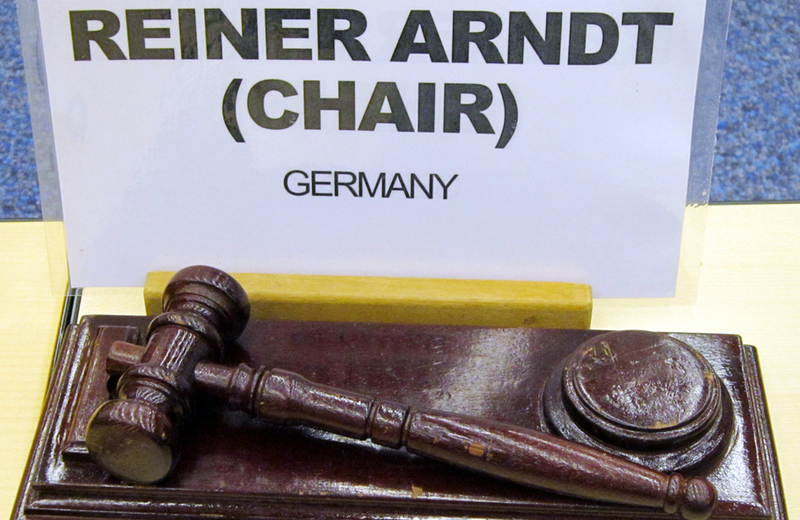 Noting that they had worked together for nearly 20 years, Executive Secretary Jim Willis said that under Chair Arndt’s leadership the POPRC had made “phenomenal progress” and “stood head and shoulders above” comparable committees. On behalf of the public interest NGOs, Mariann Lloyd-Smith, IPEN, thanked Chair Arndt for establishing a culture of inclusiveness within the Committee, and presented him with a photo album with pictures documenting his tenure as POPRC Chair. Chair Arndt gaveled the meeting to a close at 6:03 pm. 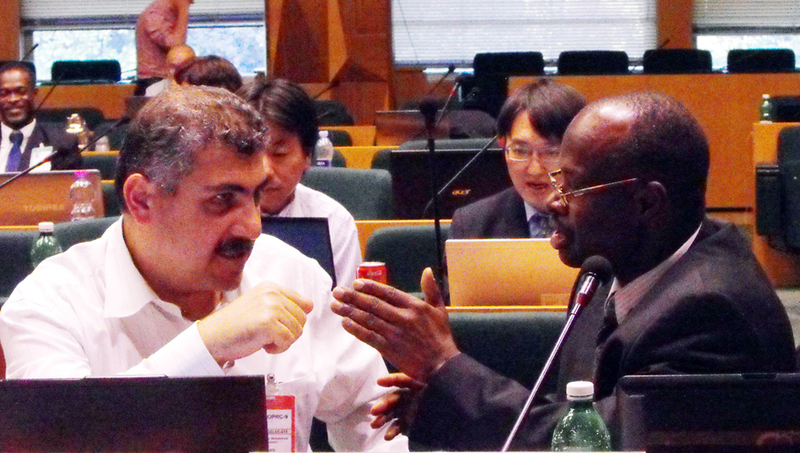 The Earth Negotiations Bulletin summary of POPRC9 will be available here on Monday, 21 October 2013. Executive Secretary Jim Willis thanks Chair Reiner Arndt for over 20 years of hard work and achievements in global chemical regulation. 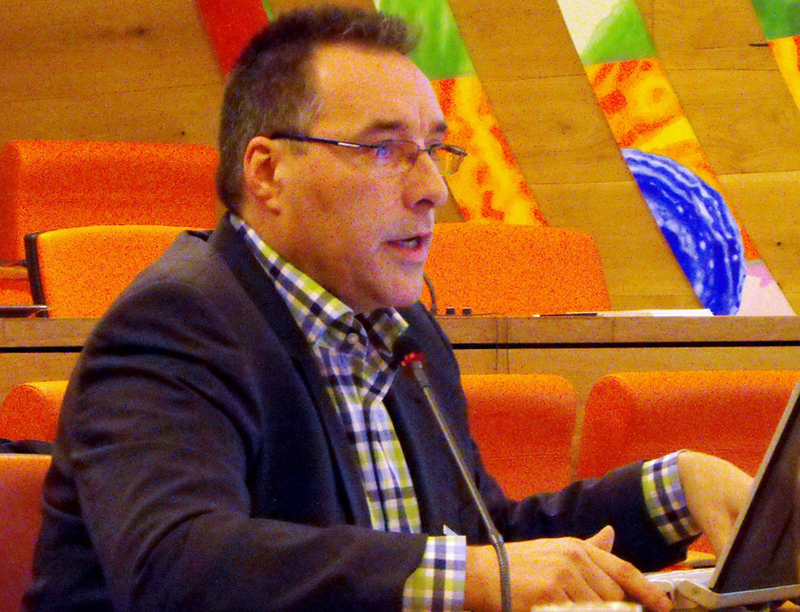 Roland Weber, POPs Environmental Consulting, presents at a side event on POPs in articles. 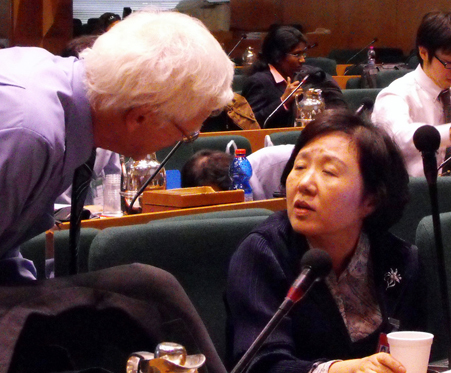 L-R: Chair Reiner Arndt, Germany, and Vice-Chair Kyunghee Choi, Republic of Korea, discuss intersessional work before the afternoon plenary. 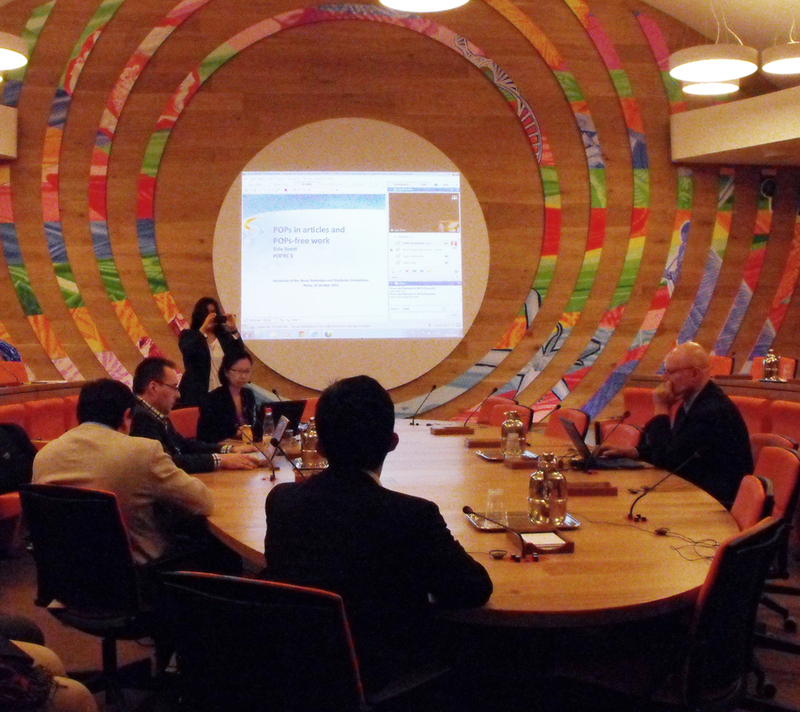 Presenters and the Secretariat prepare for the side event and set up the accompanying webinar. 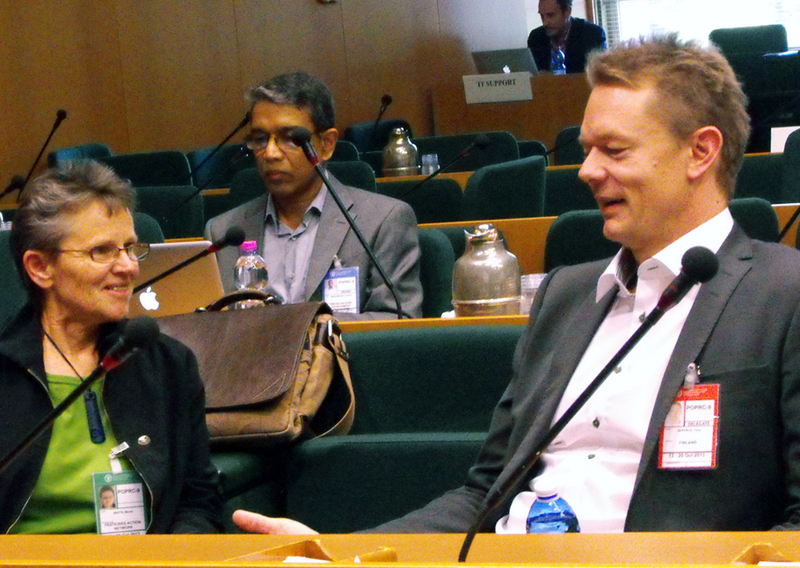 L-R: Meriel Watts, Pesticide Action Network, and Timo Seppälä, Finland, discuss the information presented in the lunchtime side event. 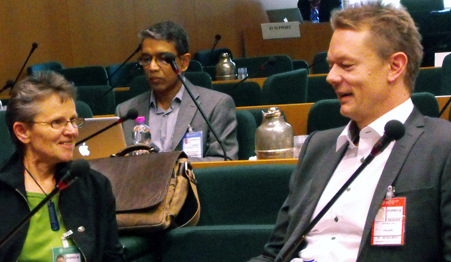 L-R: Mantoa Sekota, Lesotho; Marcus Richards, St. Vincent and the Grenadines; and Sarah Maillefer, Switzerland, observe the discussion of dicofol. 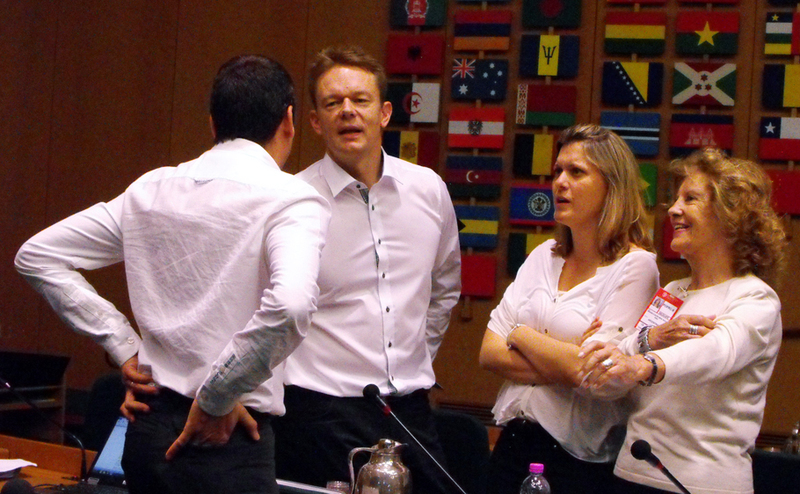 L-R: Sylvain Bintein, France; Timo Seppälä, Finland; Estefânia Gastaldello Moreira, Brazil; and Norma Sbarbati-Nudelman, Argentina, discuss options for resolving members' views on dicofol. POPRC members and Chair Arndt discuss how to move forward on dicofol.